The convertible variant has been confirmed. 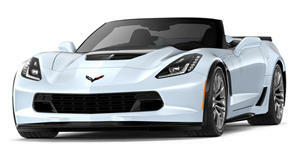 Sometime in the next few months, Chevrolet will reveal its ultimate front-engined Corvette, the ZR1. With the C7 entering its production lifetime twilight, the ZR1 will be the so-called grand finale; the upcoming mid-engined C8 is just around the corner. But until that happens, we’re still gathering details about what to expect with the ZR1. What we already know is that it’ll come powered by an upgraded version of the Z06’s supercharged LT4 V8, which will likely be paired to the familiar seven-speed manual or an optional 10-speed automatic. Along with a significant amount of aero, mainly that massive rear wing and front splitter, the C7 ZR1 will also be sold as both a coupe and convertible, a fact which AutoGuide has just confirmed. Like the rest of the C7 lineup, the ZR1 coupe will feature a removable roof, essentially offering owners the best of both worlds. The convertible will obviously feature the familiar soft top. We honestly weren’t so sure up until now whether the latter would even be an option, considering the ZR1’s high-performance capabilities. In fact, we’ve only seen spy images and footage of ZR1 coupe prototypes so far, a fact which further strengthened our initial coupe-only theory. With that question now answered, the big one that remains is where exactly GM will choose to unveil this monster. There are three possibilities: the Petit Le Mans in Georgia next month, the LA Auto Show in late November and, of course, Detroit in early January. Wherever it ends up taking place, you can be sure Chevrolet will turn it into a big spectacle. 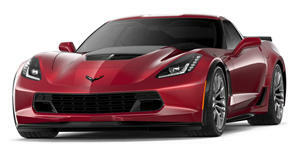 After all, the 60+ year run of the front-engined Vette is about to end.